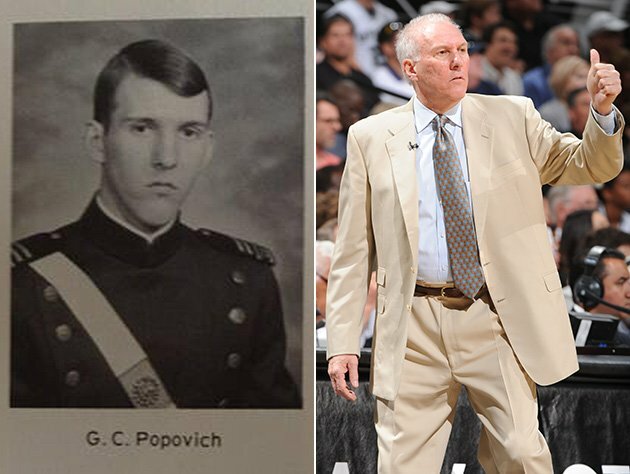 The Spurs have been my favorite team in any professional sport since my fellow Academy graduate, David Robinson (USNA ’87) joined the team, which I learned was (and still is) coached by the great Gregg Popovich (USAFA ’70). The love was sealed during my short time at Goodfellow AFB in Texas, and the frequent trips made with my classmates to beautiful San Antonio. The Spurs have won four NBA championships in recent years, and are poised to win #5 tonight. I read somewhere that the team has never lost an NBA Finals, which may set some kind of record if they win tonight against the supremely talented Miami Heat. Sports fans, this is one for the ages. The cast of characters who have played for the Spurs are all endearing, from Duncan, Ginobli, and Parker to “Old School” Big Shot Rob and Steve Kerr. But the greatest character is Popovich. The man radiates leadership, and is a walking teachable moment. That’s from a very nice article by Brad Townend at Dallasnews.com. Photo HT: Yahoo’s Dan Devine, and his solid article is worth a read also. 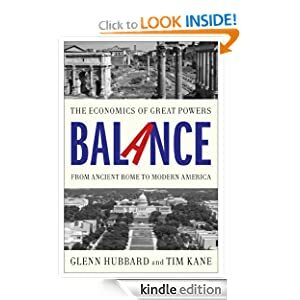 How does this relate to Balance? Note our long discussion of the 3-point shot. Note that Spurs’ guard Danny Green has set a record for the most 3-pointers in an NBA final, and there are 1-2 more games to be played. It’s showtime! NBA playoffs began this weekend, and our beloved Spurs won, so BofE is happy.